What One Great Preacher Taught Me About Books! Confession is good for the soul, but it is terrible for the reputation. So as I confess, I shall attempt to make my confession neat. From a distance, I’ve been a faithful student of E.K. 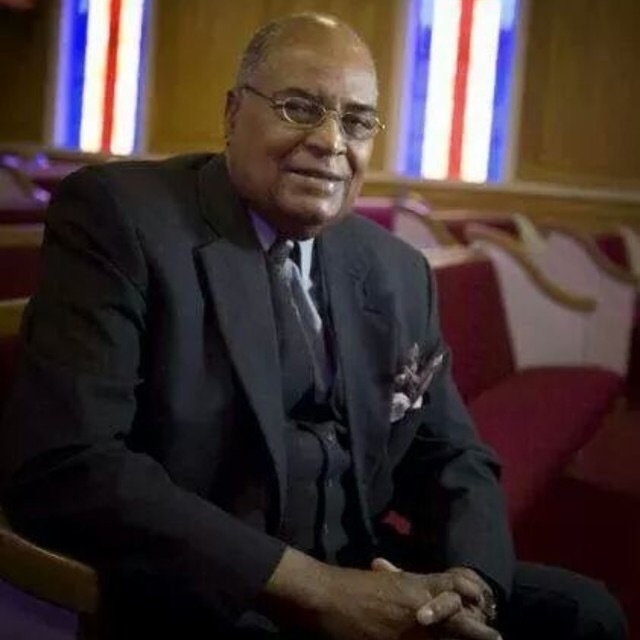 Bailey (who was, in fact, my college pastor; but I didn’t know him as well as I would’ve liked), Ralph Douglass West, I, Manuel Scott, Sr., O. S. Hawkins, Joe Ratliff, Mac Brunson, Melvin Von Wade, Isadore Edwards, Warren Weirsbe, Jasper Williams, Jr. and the like. Many of these preachers were my idols. But personally… I stand on the proverbial shoulders of my father, William L. Pullam, my uncles, Monty Francis & Lloyd Pullam, and the natives of Corpus Christi, my hometown, such as James R. Miller and Cleophus LaRue. In my own young mind, these preachers could do no wrong when it came to the craft of preaching and in Minsitry. Beyond my hometown, I owe of debt to John (Pop) A. Reed, Jr., E. Thurman Walker, Earl Jackson and my own Pastor, Harvey Clemons, Jr. But there is one preacher who has had a profound effect upon me. I literally think of him almost daily. To be honest, he crosses my mind almost every time I pick up a book. He has touched my life and ministry in ways that I cannot adequately describe. Here is my confession…it haunts me that I never really had the chance to tell him how much. Dr. R. L. Sanders pastored for many years the Pleasant Mt. Gilead Church in Fort Worth, Texas. I would preach for him in their youth revival for quite a few years in my teens. And he was always very kind to me. 1. Books are our friends. Dr. Sanders talked about books like they were people. He knew their personality, temperament, mood, highs, lows and the like. While I am not sure he read every book that surrounded his library from wall to wall; he could literally give me a summary and the gist of every book I would ask about. As with our friends, we should familiarize ourselves with them and know who they are. This is also true with our books! 2. Read anything and everything. I will never forget the day I saw Dr. Sanders picking up a medical book and a psychology periodical in a used bookstore he took me to. After seeing my puzzled look, he affirmed that he reads anything he can. He told me that day, if he sees a book talking about a sheep or a goat, he can learn something in that book about people and theology. That blew me away! Today….I’ve just begun reading “Why I left Jihad” by Walid Shoebat. I couldn’t help but think about Dr. Sanders, as always, when I pick up a book that doesn’t consist of scripture or a sermon. But I have already begun to gain insight into the mind of a terrorism, simply reading the words of someone who has been there. I have Dr. Sanders to thank for that. 3. Many of the gold mines of preaching are in the old writers and in old books. Dr. Sanders would drive me around Fort Worth, and show me how to find the good books and writers. He taught me how to look for certain things and which writers and publishers had what. He loved M. R. Dehaan, Arther Pink, Greschem Machen and a few others. He is the one who first told me to never pass up the old minister’s manuals; and to study their words, illustrations, etc. 4. One of the greatest investments you will ever make is in your personal library. The only thing that makes many preachers great preachers are better libraries. That’s it. Resources change everything. And it is even better when we allow God’s Spirit to call to our remembrance the resources that will enhance any given text and truth that we are attempting to communicate to hearers. I thank God for Dr. Sanders; and the indelible mark he has left upon my minsitry that cannot be erased. While I cannot talk to him now and reassure him of his lasting impression upon me; I can, in turn, 1) express my appreciation to those respective others who’ve touched me who are still around 2) honor his legacy. Thank God for Dr. R. L. Sanders! I miss my old friend. How I wish I would’ve talked to him more before he moved upstairs. But I know this – I will see him again; and his memory still lives on!